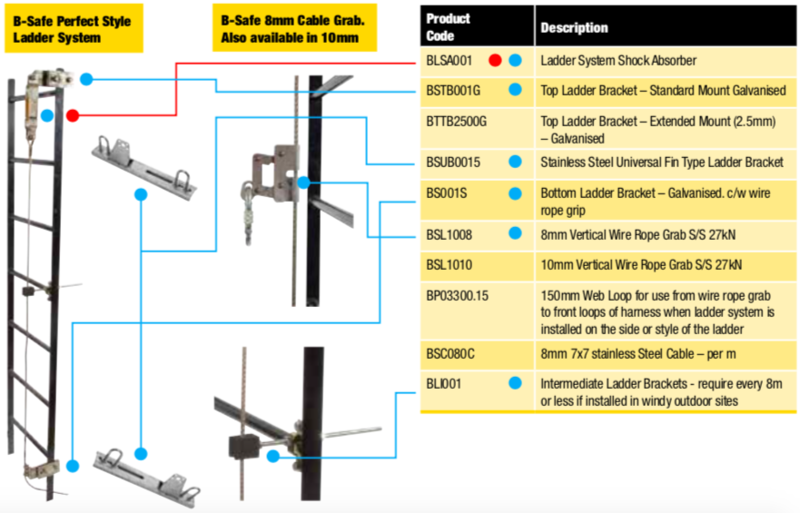 B-Safe offer a vertical ladder and tower safety systems to suit many applications. Our safety systems are multi fit options, so that installation to any vertical structure is possible. The B-Safe Vertical Safety System Conforms to AS/NZS 1891.2:2001.